Dreams | The ultimate building game! Anyone else excited for Dreams? This game lets you build anything you can dream of, it lets you build any kind of thing you want or any kind of game! People have created a lot of amazing stuff in a short time in the beta. So without further ado, here is some info on the game if you have not been keeping up! 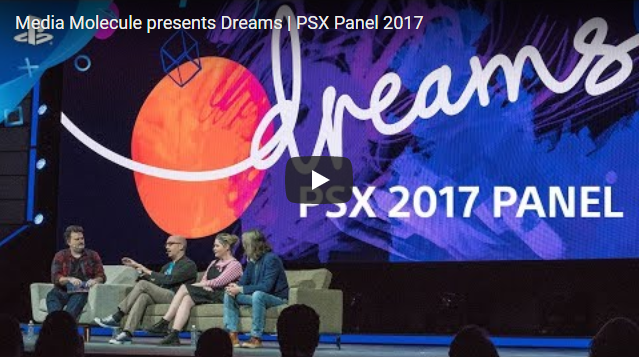 Media Molecule presents Dreams | PSX Panel 2017. Dreams does not really make sense until you see the creative tools that were used to make it. Those tools are given to every player. Unlike LittleBigPlanet, or indeed any other game that invites you to create your own levels, Dreams does not limit you to collaging together textures, items, music, characters et cetera created for you by the developer. It lets you create every single one of those things yourself, if you want. Once I realized that every tiny detail in the single-player levels was made with these tools, from the suitcases on a train platform to the flying dragon with its emphatic facial expressions—and then I realized that I could make something like that, too—I began to understand the full scope of Dreams, and what it is trying to make possible. Dreams is a hard game to explain. It is a game, but it’s also a creation tool, a social network, a film studio, a music editor, and so much more, all wrapped into a single package. The ultimate goal is that, as users create and upload stuff, the growing compendium of shareable elements that anyone can use will form the backbone of a massive, collaborative community. And if you use someone's original music or their original character or their original animations in your level, Dreams automatically credits them in your creation -- which makes it possible for others to see who made what, and potentially follow that person, commend them, and find their other work. But while Dreams' capabilities are complex, using it is meant to be as simple as possible. 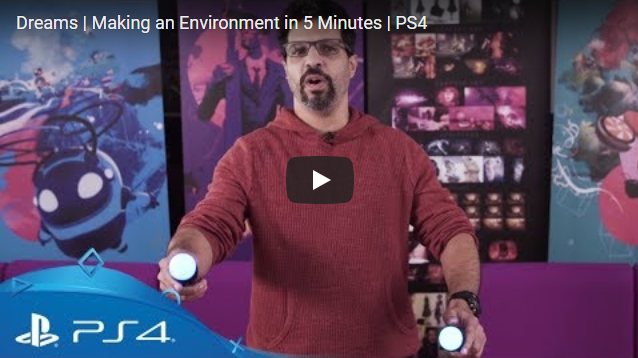 Most everything can be controlled intuitively with the motion capabilities of the DualShock 4 controller, and the developers said they're working to make performance the means by which things are added to the game. That means if you want to add a simple animation to something, like moving a platform back and forth for a character to jump onto, you just select the object, set the game to record an animation, and then move your controller however you want the platform to move. Stop recording and the animation is there in the game. Dream is coming in 2019. Think LBP in 3D and with way more possibilities. Couch co-op up to 4 players. Local multiplayer on launch, online planned after. There will be a beta before the release. You can play and create using the normal Dualshock 4 controller, Move is an option. There are also tutorials built into the game. PSVR support is coming post launch. PS4 Pro support: 4k output or 'arcade mode' (higher frame rate) at 1080p. But all gameplay, tools and content is the same on pro & base. You can share everything you make and collaborate with other people. You can download other people's creations and play or use them as assets in your creations. You can gain XP on your profil depending on what you do, for instanceas as animator, player, or designer. That allows you to easily find people that like doing specific things. Thermometer limit is about complexity, not size. You can link the levels. All the things you can make in Dreams. I'm not excited for the game, but that's mostly because while the concept sounds very cool and even impressive, marketing for the game tends to be rather low-key with most stuff about the game coming out in streams by Media Molecule, rather than trailers or any of the other usual big methods of promoting a game to the masses. I've seen a few things from the recent Beta such as recreations of environments from PT and Dead Space, and they are very impressive, especially considering the people making those haven't had much time with the game to learn the tools and make those creations. There could be tons of other cool things in there too, but the few bits that have come out have done so because people are breaking NDA. What I want more than anything is for the game to have an accessible creation suite. LBP never managed to make it easy to learn how to create things and I hated having ideas that I couldn't tell how to bring to fruition without just doing so much trial and error to learn things the game should have taught me. Want to make a top down racer like the LBP2 Story Mode has? Well we're not telling you anything on how to make that, so either a member of the community makes the tutorial or you just work it out for yourself. Working things out should be how to push the mechanics beyond what is expected like what MM saw happen with LBP1. Not trying to recreate things that you've seen the developers making officially. I'm in the same boat as Moony, though I'm more interested in playing the things other people have made than actually utilizing the creative tools themselves. That could be neat, especially with showing the power of the tools available. The only hurdle would be whether other companies would be happy to have their work being used to market another game. Technically both get exposure but it's more for the benefit and sales of Dreams than for the game being shown. This is what would make me hesitant to purchase the game at launch. Unless any amazing work from the beta gets brought to the final release, there would be at least a wait of a few weeks before a decent flow of content would be coming in from other players. The only thing that can offset that is either a decent campaign that isn't too short, and if you're a creator then you can spend the time waiting by just playing with the tools to make your own stuff. The only thing that can offset that is either a decent campaign that isn't too short, and if you're a creator then you can spend the time waiting by just playing with the tools to make your own stuff. From everything I’ve heard is it’s way easier than LBP to create. Of course you will still need to do the tutorials and spend time to master advanced stuff but it’s way easier. I loved LBP but couldn’t create anything if my life depended on it. Lol Modnation Racers was super easy though. One other thing that helps is you don’t have to create everything from scratch, you can take creations from other levels and copy it to your level. You can keep it the same or remix it. As far as marketing, yeah everything is low key because it’s still in beta. Once things are ironed out and they can finalize a date they will start to market it more. I thought the LBP2 campaign was pretty awesome so I have faith the campaign in this will be pretty good. NDA has been lifted! Streaming and discussion of the beta are now allowed. Here’s a good write up of one user’s experience. Dreams is getting an early access release! Just for creation and playing creations, the campaign and official MM levels won't be included until full release! Quote: Dreams Early Access will be available digitally through the PlayStation Store this spring, priced at $29.99 MSRP (+ applicable tax) in the US and $39.99 MSRP (+ applicable tax) in Canada. As with all Early Access titles, if you purchase at the point of Early Access starting, you won't need to spend any more money once Dreams launches in full. 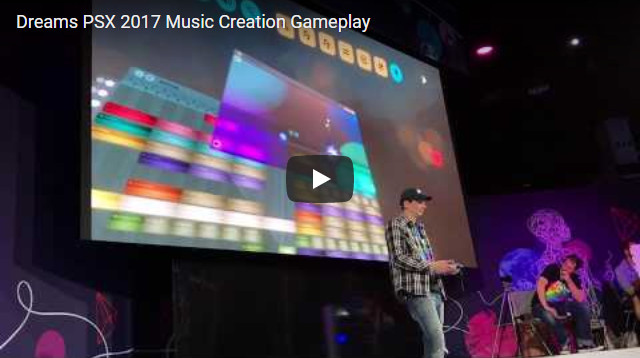 Pretty neat to offer an early access version of the game to let people experience the creation tools. I expect a lot of people will buy this simply because the community aspect is what generates the best content and (obvious) value for money in any Mm games and will see the campaign coming later as just extra bonus content. I just wish it wasn't digital only though. Yeah same here but this is a genius move! It allows everyone who plans on creating to build up a big library of content before launch so when it does launch there will be lots for those who don’t like creating stuff. The beta brought some amazing things but this is longer and will have more people. Means it probably won’t fully release until mid summer at the earliest though. Yeah, if the early access release is Spring, then the full release is likely Summer. Outside of the creations that'll get made, I'll be most curious as to how level searching will be. LBP always had a problem of a lot of junk content hitting the front pages while the actual good content required you to know where to look. Early access is April 16th! Pretty stoked for this! I normally don’t do digital but I’ll get this for half price. Since I want it physical I'll be waiting. 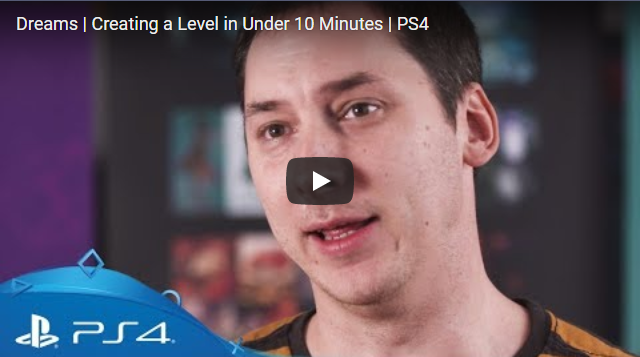 Also, by the time that version comes out, there'll be a lot of user-created content available in the game to go through and by that time the creations will start being refined, since I expect the first few weeks are going to be mostly proof of concepts and people learning the tools like how it was in LittleBigPlanet. It normally takes a bit of time for the real crazy stuff to start coming out. Maybe they want to keep LBP a 2D platfromer and use a different brand to expand on creative tools for 3D environments, but I am definitely interested. Media Molecule wouldn't have made an LBP game because they stopped being the developers of that series after they finished LBP2. Considering they saw what people were capable of with the tools in LBP, I'm not surprised they decided to make a new game that would give people tools to create virtually anything they want without being restricted to the palette and character models of LBP.